2 Why Do Beginners Need Specific Golf Drivers? When playing golf, you will need to make a significant investment in clubs are they are the most vital equipment for the sport. And although you can have up to 14 different clubs in your golf bag, the driver is one of the most important ones. It is the club that you will use first when starting a round of golf and it also gives you the highest distances. Drivers are the longest and biggest clubs in the set, and in most instances, they are also the most expensive. This club is also the hardest for beginners, and most will take a long time to learn how to hit it well. Beginners will find it hard to pick the right driver for their game because they are still not sure what works for them or what they need. The many options in the market also make your choice harder. But, with the right information and enough research, it is possible to get the best driver for beginners with little hassle. Why Do Beginners Need Specific Golf Drivers? Drivers can be hard to hit for high handicappers and beginners. The long shafts and large heads also take a lot of time to get used to, and this can influence the performance of the beginner golfers. However, some specific drivers come in a design that is “beginner-friendly”. 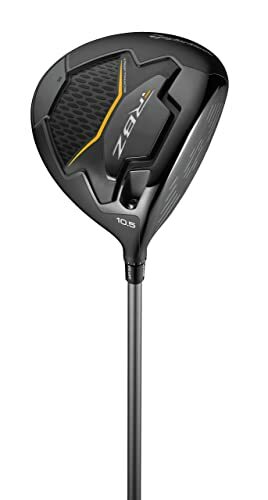 These particular drivers are more comfortable to hit than the regular ones, and also the head is not as large as the standard driver. It is always easy for most golfers to assume that the high-end drivers that feature the latest technologies are the best for all golfers. But, this is never the case because the high-end ones are designed to cater to the needs of the pro golfers and experienced amateur that have single digit handicaps. These clubs also utilize high swing speeds which most beginners cannot generate. When beginners use the high-end clubs with their slow swing speeds, their performance reduces significantly because this affects the ball speeds and trajectory. But with the specific beginner drivers that do not require a lot of swing speed they can still get decent ball speeds. Another reason why beginners need particular drivers is precision. When using regular drivers, any off-center hits produce a lot of side-spin and hence leading to slice which sacrifices both accuracy and distance. The specific golf driver for beginners are often more forgiving, and so you can still maintain accuracy and distance even on off-center hits. Now that you know why you need a particular driver type if you are a beginner, the other important thing is to understand how to pick from the many options in the market. Choosing the best driver for beginners will require you to consider the following essential points. #1 How Many Drivers Do Beginners Need? Since most beginner and high handicapper cannot hit the driver, you might not even need to have one in your bag. A hybrid or 3-wood will always give beginners a much better chance of getting to the fairway off the tee. Also, these clubs are more comfortable to hit than the drivers. But, if you are confident that you can swing a driver or want to practice, just one that has a specific design for beginners is enough. Remember that even the professional golfers only need one driver since most are adjustable to provide both shot-shaping and maximum distance. And so unless you want to try out a couple of drivers when trying to pick between them you only need to have one in your bag. Drivers come in both square and round head shapes. And so beginners will need to choose between the two head shapes when shopping for a driver. From a performance perspective, every golfer should always select a driver that feels most comfortable when swinging. Round drivers are always the best option for beginners. These drivers are not as clunky as the square ones, and they are also less likely to get caught on the turf before impact. Round shaped drivers will help to keep you in a plane while also improving your swing speed. As the swing speed increases, the ball speed also increases. And so with these clubs, a beginner will cover more distances and get to the fairway in a few shots. The length of the shaft is another crucial factor to take into account when it comes to buying a driver. However, in most cases, it will depend on your height. If you are a short player, you should not go for something with a long shaft as it will be hard to swing. Also, you might need to measure the length of your arm and also examine your swinging style so that you can determine the right size for you. It is essential for beginners to know that most of the modern drivers are longer and lighter than the old ones. Extra length and light weight mean you can get more torque and generate a perfect arc so that you can hit the golf ball further. When it comes to the material, you will need to consider both the head and shaft materials because both will affect the performance of the driver. There are a variety of materials to choose from when it comes to the driver’s head. Golf club manufacturers will use stainless steel, zinc, aluminum, titanium and other alloys to make the club heads. Titanium ones are the most expensive but also offer the best performance for beginners. Stainless steel head is the cheapest and will be ideal when shopping on a tight budget and only want something for practice. When it comes to the shaft, you will need to pick between graphite and steel. Graphite is the most popular material for beginners because it offers a variety of flex. Steel shafts, on the other hand, are mainly for low handicappers because they provide better control and increased precision. Clubhead design is the most obvious feature that beginners should consider when shopping for a driver. And when it comes to the head design, the size is always the most critical element to consider. It is important to know that the larger the head size, the larger the sweet spot that the club will provide. A driver with a large sweet spot makes it possible to get away with the mishit. Golf rules allow for a maximum of 460cc for the club head size. As a beginner, you should always go for the maximum size or something that is close to it such as 440cc and 450cc. Loft plays a vital role in determining where your ball will go. Although many golfers tend to overlook the loft angle, it is still an essential factor that beginners need to consider when shopping for a driver. The best idea is always to go for those with a high loft (between 10 and 12). A driver with a lower loft is more prone to side spin. And so it will make it hard for beginners to get the ball high and make it fly straight. As a beginner, you should opt for a more affordable driver because you are still not able to swing it well. However, your priority should be to look for a high-quality and comfortable driver that will help to improve your game. If you find one that you like and can use comfortably, you should shop around and compare the price in different sports stores and online as you can always get it at a discount. 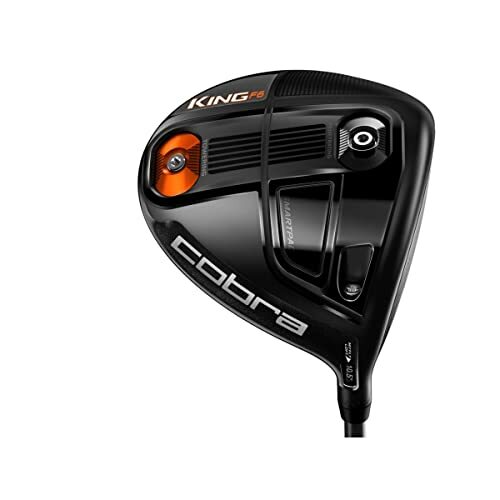 Cobra King F6 ranks among the best drivers not only for beginners but also for most other golfers. It is a modern-looking golf club that makes use of some impressive technologies to increase the ball speeds and distances. These features include a Forged EP Face, MYFLY-Eight with Smartpad, F6 Center of Gravity Tuning and Speed Channel. 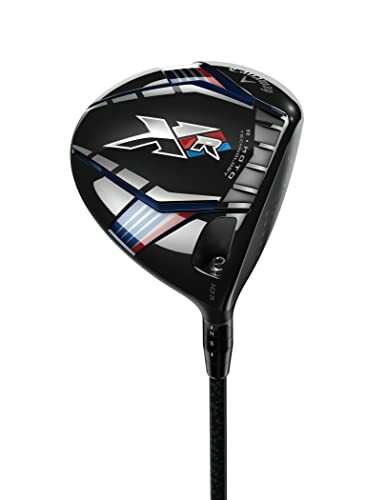 The driver also has a very aesthetically appealing look and makes an impressive sound on impact. Forged E9 Face: The titanium E9 face is one of the key highlights of this driver. It features a variable thickness structure that is also lighter and hotter to create more deflection and improve the size of the sweet spot. MYFLY-Eight: This technology provides eight loft settings that are easy to adjust to ensure that you can manage the trajectory effortlessly. The feature also helps to fine-tune the launch condition so that you always get maximum distance regardless of the swing or golf course. Speed Channel: Cobra uses this exclusive feature to increase ball speeds across the face. It entails using an engineered channel along the face perimeter to minimize the thickness to improve the ball speeds. F6 CG Tuning: The F6 CG tuning ensures that golfers always get personalized tuning. It features a CG technology that is adjustable from back to the front. By keeping the CG at the front, you get a penetrating ball flight that also has more roll. Keeping it at the back, on the other hand, will offer a higher and more towering ball flight and it also makes the club more forgiving. Shaft: The shaft is graphite, and it is available in four different flex options that include the X-stiff and senior flexes. Aesthetics: It looks like a typical Cobra driver with a head that is more elongated from front to back to create a “pear shape.” The driver also has a friendly and full-bodied look, and it is also not clumsy. Feel: The King F6 feels light and stable. Many golfers will also find it light and well-balanced, and it will feel comfortable to move through your swing. The adjustability works according to the product description, and most golfers will love this feature. It has a unique Speed Channel that minimizes the head thickness and increases ball speed across the face. The hotter face design also increases ball speeds and creates a larger sweet spot. It feels stable, light and well-balanced. Misses are rare when using this driver and are not noticeable. The full-bodied and friendly look is handy for boosting a beginner’s confidence. It is a low-spin drive that still has some moderate spin to enhance performance. The stiff flex is a little too flexible. It might feel too light and little whippy for some golfers. Squaring up the big head can be tough for some golfers. The driver is the first club that most golfers will use when playing a round of golf, and so you cannot afford to have the wrong one as it will affect how you start to the game and hence your overall scores. TaylorMade understands just how important a driver is, and they make the Men’s RBZ with this in mind to ensure it produces impressive distances and maximum forgiveness. The driver uses a 460cc titanium head to ensure maximum playability, Ultralite Titanium Core for extra forgiveness, Speed Pocket for higher launch and adjustable loft sleeve for custom launch and trajectory. This driver comes in a sleek black satin finish, and with handy alignment aids, and you will also get a free headcover with your purchase. 460cc Club Head: The large 460cc titanium head on this driver is one of the key highlights of this club, and it is designed to ensure maximum playability and confidence at address. Ultralite Titanium Core: The Ultralite titanium core moves the weight strategically to the perimeter of the clubhead to ensure that golfers get more forgiveness, higher launch, and greater control. Speed Pocket: TaylorMade drivers are known for their legendary Speed Pocket, and the RBZ also makes good use of it. This speed pocket is designed to promote higher launch while also minimizes the spin for increased distances. Adjustable loft Sleeve: There is also an adjustable loft sleeve on this drive, and its main purpose is to allow golfers to customize both launch and trajectory to suit their particular preferences. Flex: Because this driver is designed to suit the needs of all kinds of golfers, the shaft is available in the three common flex options which are regular, stiff and senior. Hand Orientation: TaylorMade also tries to cater to all kinds of players with the hand orientation, and so they make the driver in both right and left-hand versions. The Callaway Men’s XR is an excellent pick for anyone looking for the best driver for beginners. It is all about speed and distance which is what most golfers are looking for in a driver. And to achieve this, it uses some modern technologies that include Optifit Adjustability, Maximum Shaft Load, RMOTO Face Technology and Speed Step Crown. Like most other drivers it also comes with a graphite shaft. However, Callaway gives it a lightweight Project X LZ shaft that is available in senior, regular and stiff flexes with a weight range of between 53 and 56 grams. OptiFit Adjustability: You can choose from 8 different lofts and lie combinations which makes it easy for a golfer to find the perfect ball launch and flight. Max Shaft Load: The shaft is always a key component when it comes to the swing speed, and Callaway understands this. The company gives this driver a lightweight version of the high performing Project X LZ shaft. And so you will always get maximum shaft load on the downswing to ensure maximum energy transfer to the ball. RMOTO Face Technology: The RMOTO Face Technology is another technique that Callaway uses to increase the ball speed. They do this by making the face thinner with a 10% weight reduction. It also makes it possible to lower the center of gravity by up to 17% for as higher MOI. Speed Step Crown: The Speed Step Crown helps to reduce the drag to maximize your swing speed, and it achieves this by combining with the optimized and aerodynamic head shape. Shaft: For this driver, you get a traditional graphite shaft that is available in the three main flex options that are regular, stiff and senior. And so beginner golfers will have an opportunity to pick what they find most comfortable to swing. You can get a shaft that is between 53 and 56 grams depending on your choice of flex. Feel: The XR is a lightweight and balanced driver that will absorb the feel of the ball on impact. And most golfers will experience a stable sensation throughout the swing. Look: This is an attractive an uncomplicated driver that features a black matte finish that will not only reduce glare but also does not distract you when setting up the ball. Also, the black alignment aids blend in with the black crown to create an appealing look. It will provide reasonable distances on both center hits and mishit. This driver reduces spin consistently even when you make the worst misses. The generous sweet spot size provides impressive results across the club face. Callaway XR has a lightweight and balanced feel, and it provides a robust and stable sensation throughout the swing. The loft adjustability feature is an excellent addition to the driver. It uses technology to minimize drag and increase speed through the swing. The club face can be a little hard for some golfers to align. Many golfers complain that it takes longer to get comfortable on their hands. The face absorbs a lot of the impact feel, and so it might not provide sufficient feedback. Whether you are a high handicapper, beginner golfer or a professional you can never afford to go wrong with your choice of driver as it is one of the most important clubs on your golf set. While the experienced and pro golfers already know what works for them, beginners tend to have difficulties making their pick. But in most instances, it is just because they do not have the right information. The first thing for beginners should always be to understand why they need to use particular driver types and not just go for the regular ones. Once you know this, things will be easy, and you can get a good driver that is easy to hit and can also improve your game. Also, it is essential to know the key factors to consider when making your choice. And with our reviews above of some of the top drivers in the market, you can be confident of getting the best driver for beginners.